Paul Adlakha joined C-CORE in early 2007 as Director of Marketing. 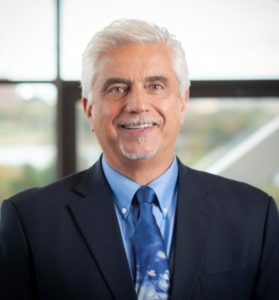 From 2011 to 2013, Paul also served as Executive Director of LOOKNorth (Leading Operational Observations and Knowledge for the North), providing leadership and overall direction during start-up of this Canadian Centre of Excellence for Commercialization and Research hosted by C-CORE. From 2013 through 2014 he served as C-CORE’s Executive Director of Business Development. In August 2015 he returned to LOOKNorth, as Managing Director of the Centre during its Extension Phase. Paul holds a B.Sc. in electrical engineering and has 25 years of experience in senior marketing and business development roles in technology-based manufacturing and service companies. Before joining C-CORE Paul was V.P. Marketing and Sales at SEIMAC Ltd. Originally from India, Paul has also lived in the U.K., U.S. and Canada. Paul is based in Halifax.